Like I said before, the challenge is to read as many books written by Asian authors throughout the whole year! On the hosts’ introduction posts, you can find badges for goals you set. There will also be a lot of other fun activities happening, such as monthly link-ups, giveaways, prompts, and Twitter chats! If you’d like to find out more, click on the hosts’ names in the intro to this post to be directed to their introduction posts! I’m aiming for the “Indian cobra” level, which is 11-20 books! I would LOVE to hit the “Asian elephant” level of 41-50 books, because they are literally my favorite animal (and like… I GUESS it’s a lot of books) but I know that I usually read 100 books a year and half of them being by Asian authors is unrealistic for me personally! 11-20 books is the perfect goal for me and I’m happy about it! I mean, I would of course love to read more (and get the OTHER CUTE ANIMAL BADGES), but I think about 1/5 of my year’s reads is great for me. Especially considering I want to support other diverse authors as well! 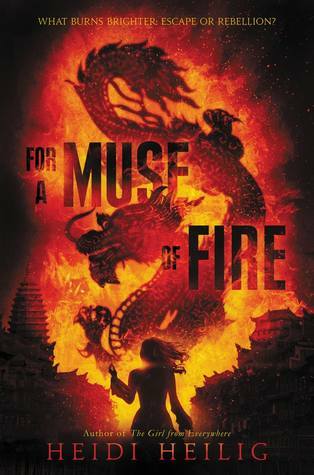 As many new Asian releases there are coming out this year, I also want to make sure I read some backlist books as well! So the first few books will be 2019 releases I KNOW I want to get to by the end of the year, while the last few will be backlist books. Of course, this is not set in stone! The only way I get new releases are from my library, from publishers, or from my own wallet (which has barely any money), so I may not get to them. I also just want to leave room for mood reads, since I am horrible at sticking to TBRs. ➠ I will try to indicate what ethnicity the author is but in some cases I don’t know 100% and don’t want to pry! Okay, so I’m technically still in the process of reading this book, so I guess it’s not really “to be read”, but I’M COUNTING IT!! I do like it so far though it’s a bit slow, but I also have been having a really rough time being able to actually focus on reading ebooks, so that might be it! I’m definitely using this for the January link-up prompt of “family”! ➠ the author of this book is Chinese! 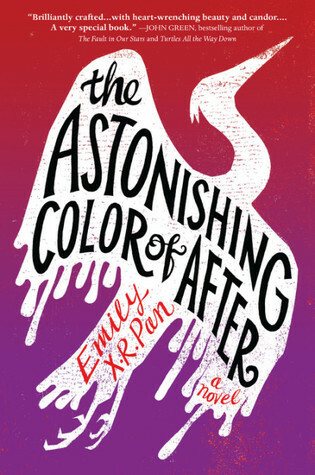 I have an eARC of this book and I need to read it soon, since it comes out in just a few weeks! I’m also might use this for the January link-up prompt (I’m not 100% sure it works, but if it does, I’ll definitely use it!). But what I’ve read so far was absolutely beautiful and I cannot WAIT to read more of it. ➠ the author of this book is Malaysian! 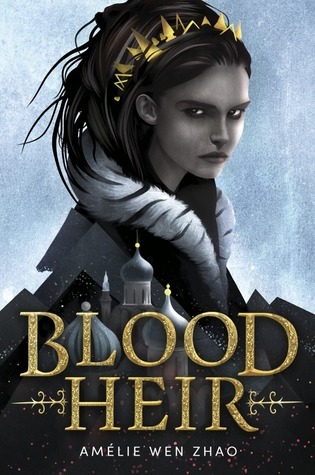 As of right now (January 16th), Blood Heir is available as “Read Now” on Netgalley, meaning you can automatically get it without having to be approved! That’s how I got the eARC, and I am SO EXCITED. I already read the author’s note and it made me emotional and I honestly don’t know how I’ll last the rest of this book. I don’t have an ARC of this (there is a possibility I might! ), but I’m definitely planning on reading this whether or not I get one, because it sounds… so amazing?? 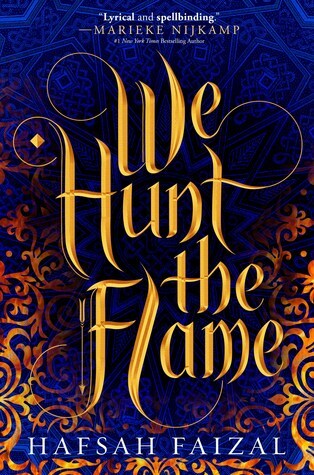 It’s everything I want in a fantasy, and I can’t wait for it to come out. ➠ the author of this book is Sri Lankan/Arab! Guys, there is no way I’m leaving this out. I have no doubt that the inside of this book will be as pretty as the outside of the book (and also THE GIRL. SHE’S SO PRETTY). It sounds like the Mulan retelling of all our dreams—apparently with a mix of Project Runway too? ?—and I know it’s going to be AMAZING. ➠ I believe the author is East Asian! 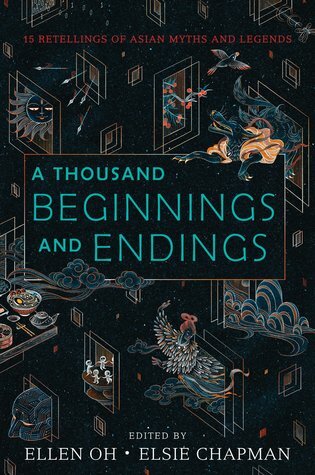 So I got this book like, a year ago, from someone who was willing to mail their ARC to me after hearing about how much I wanted it as an Asian reader and… I still haven’t finished reading it?? I feel so guilty, but also, I know that I’m waiting for the Right Time. And what I’ve read so far was really beautiful and I can’t wait to continue it. ➠ the author of this book is Taiwanese! I [actually] bought this book a few months ago, and I would be reading it right now because I just need a book to read that’s not in ebook form, except for the fact that it’s so BIG!! And I’m like… pathetically intimidated by big books. This sounds SO good though, I mean, bipolar queer necromancer?? I am so lucky to actually own this book because it’s so gorgeous and I love holding it in my hands knowing these are the stories of Asian authors and their cultures. I’m starting to love reading more and more anthologies and I’m especially excited to read this one!! I have been wanting to read this for FOREVER. Like… half-Southeast Asian bi girl in a relationship with another girl??? SOUNDS LIKE ME!! (Except not the biracial part.) And I might be able to get a copy soon because someone loves me (questionable) and I’m just really really excited about it. ➠ the author of this book is Chinese-Vietnamese! 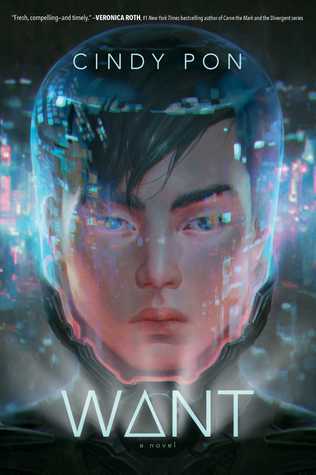 Am I reading this so I can read the Asian f/f sequel, Ruse, that comes out this year? No one will ever know. ➠ I believe the author of this book is Chinese and/or Taiwanese! I don’t know how I haven’t read this book yet? Literally my Dream book: Asian rep, queer rep, AND mental health rep in it. I have a feeling I’m going to absolutely love this one (though it seems to be completely heartbreaking). 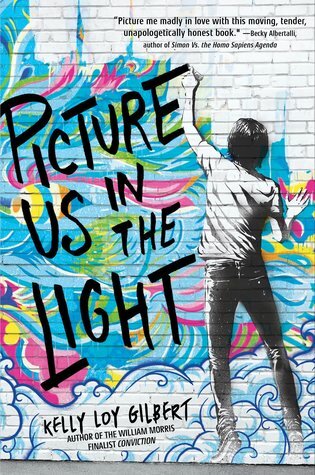 I’ve heard that this book explores so many important themes, and manages to do it beautifully, so I am super excited to read it!! I will update the section accordingly when I read books by Asian authors! Keep an eye out for book covers, links to Goodreads and my reviews that I will HOPEFULLY write, star ratings, and a few words of my thoughts on it! are you planning on participating in #YARC2019?? what challenge level are you aiming for? 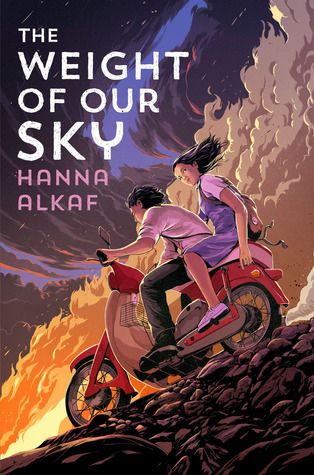 in general, what books by Asian authors are you planning on reading this year? 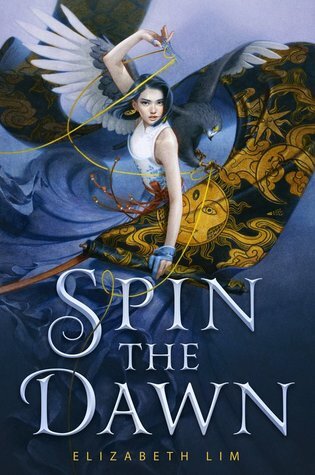 Previous My Most Anticipated YA Books Releasing January through July ft. a Lot of Asian Fantasies and Diverse Books in General! AHHH YAY I’m so happy you’re joining our challenge!! 💖💖 I can’t wait to chat about ALL the books you read + your tentative TBR looks great!! Ahh I wish I could join you in this!! I would aim for probably the same level as you, but since I’m still catching up on books like Autoboyography (ahh its amazing) and Six of Crows (ahh its amazing and I’m reading the sequel rn) I simply can’t try and add the added factor of Asian authors in there too. Good luck, and maybe next year if they host it!! Yay so happy you’re doing this! This challenge sounds so amazing, can’t wait! yes i’m definitely joining, i just need to make my sign-up post/section! This is such a great challenge! I’m definitely tempted to join in 🙂 I have quite a few Asian-centered books on my tbr this year, actually. 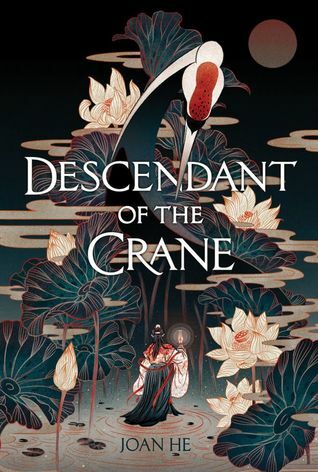 There definitely seem to be a lot of Asian fantasies coming out which I’m super excited about, including Descendant of the Crane and We Hunt the Flame, which you mentioned, as well as Blood Heir, which I just got an ARC of and am really excited for. I also just read Jenn P. Nguyen’s fluffy Asian-MC book, Fake It Till You Break It, and it was so adorable I’m still in recovery from the cuteness. Maybe I should join this challenge since I have so many Asian-centered books on my TBR! Oh, I hope you have fun with the challenge if you end up joining!! And yesss there are SO many Asian fanatsies coming out this year and I’m so excited about!! All the ones you mentioned are definitely ones I’m excited for. And aahh I’m so happy you enjoyed Fake it Till You Break It — it sounds so cute and wholesome!! I’m considering doing this challenge as well! I have to admit, the cute animal badges is a part of the reason, but also supporting diversity in the book community! I love your list of possible books, I have some of them on my TBR shelf as well. I am considering the challenge too and I would aim for the lowest level 😜 I am not sure how much I can read this year. But this year is so good for asian releases. Ah, the lowest level is great!! 1 book is better than 0, right? ☺ And yes 2019 has so many amazing Asian releases and it’s so exciting!! Haha, yes I know about the depression themes, that’s why I had to put on hold for a bit ☺ Thanks for the warning though! YAY OMG these are all so awesome, and if you wanna buddy read Heidi’s book, hmu because I have a copy and haven’t started it yet!!! I can do February if you want!!! I only have 1 Asian arc for that month and i’d love to hit 4 Asian books a month (even though i’m aiming for the panda I secretly want the tiger) so backlist time!!! 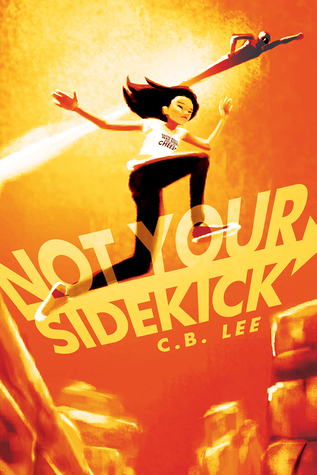 I am SO excited to read Not Your Sidekick, it sounds like a book I’d love!! Thank you so much, I hope you can read a lot of books by Asian authors and love them as well haha! I’m SO excited to participate, CW!! And yess you were actually the one I thought of when I put Want on my TBR. And I’m so confident that I’ll love all of these — fingers crossed that I actually do! oh this is such a good challenge, I love you!! and also this is so cool. is aw the sign up post for this when cw posted about it but idk whether to sign up so we’ll see. okay so when you read Astonishing, can you tell me because I’m planning to re-read it this year so we could maybe/possibly BR it? I will definitely be joining this reading challenge. I love Asian inspired books so much that this year is the perfect year to do it with so many books coming out. I’m so excited.